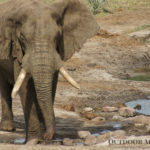 Due to the limited number of visitors and minimal tourist development, Tembe Elephant Park has a wilderness character found in very few reserves in South Africa. 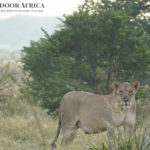 This makes it one of Outdoor Africa’s favorite game reserves! Tembe Elephant Park is situated on the border between South Africa and Mozambique. Approximately five hours drive north west of Durban, it is in an area referred to as Thongaland or Maputaland. 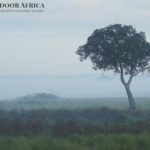 Tembe is a relatively large reserve of around 75,000 acres in size, and was developed by the Tembe tribal authority and Ezemvelo KZN Wildlife*. The park was proclaimed in Oct 1983, and named after the late chief Msimba Tembe whom donated the land for the formation of the reserve. 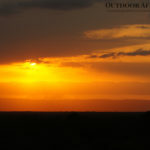 Accommodation in Tembe is limited to a tented safari camp, and Royal Thonga Private Safari Lodge on the edge of reserve. 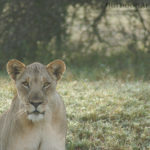 Tembe is a “big five” reserve (Lion, Leopard, Elephant, Rhino, and Bufallo), and game viewing can be exceptionally good and at fairly close range. This is due to the nature of the road infrastructure (sandy twin tracks) in the reserve. Tembe is best known for its mega fauna in the form of some of the largest elephants in the world. 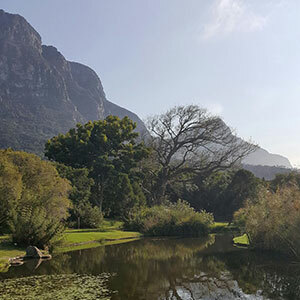 However, because the park falls within a transition area between tropical and sub-tropical forms, it is also home to a great diversity of vegetation. With this diversity of habitats, Tembe is home to a spectacular variety of animals and birds. It is one of the only places in South Africa where the plain-backed sunbird is found to be resident. During 2009, a new giant orb spider had been discovered deep in the sand forests of Tembe. It has a leg span of five inches and weaves webs three feet wide! As recently as 2016, a new species of galago (bush baby), the Mozambique dwarf galago or Grant’s galago, was also discovered in Tembe. The galago was previously held to be restricted to Mozambique, eastern Zimbabwe, Malawi, and Tanzania. Although the road network in Tembe is limited and covers parts of the southern section only, the hides (blinds) in the reserve make up for this. Mahlasela Hide is world renowned for its live stream webcam at a waterhole which elephants frequent. Armchair travelers can visit this webcam via their PC 24-hours a day. It features a live stream with full color and sound, as well as night viewing capabilities. Ponweni Hide in the northern-most publicly-accessible section is not as well known as Mahlasela. Still, it is an excellent spot to sit quietly and enjoy the ambiance of the African bush. 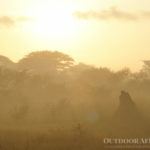 One of our favorite early morning game drives, in search for the big cats such as lion, is the “east swamp” road. This route traverses patches of sand forest, and then opens out to a large open savanna-like area known as the Muzi swamp or wetland. 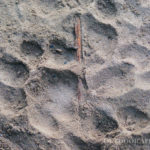 This is a great spot to track down lions, following their spoor in the sandy roads. Birding at Tembe can be difficult, but ultimately very rewarding. Some of the specials of this reserve include: Southern Banded Snake Eagle, African Broadbill, Eastern Nicator, Rudd’s Apalis, Woodward’s Batis, Neergaard’s Sunbird, Pink-Throated Twinspot, Lemon-Breasted Canary, Black Coucal, Rosy-Throated Longclaw, and the rare Plain-Backed Sunbird. Want to plan a visit? 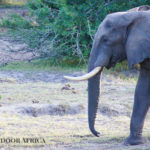 We would recommend at least a two-three nights stay in Tembe Elephant Park. Let us help you Plan Your Stay! *Ezemvelo KZN Wildlife is the provincial (state) agency mandated to carry out biodiversity conservation and associated activities in the province of KwaZulu Natal.